YOUNGSTOWN - Funeral services will be Saturday at 11 a.m. at the Higgins-Reardon Funeral Homes, Austintown Chapel, for Eleanor R. Gross, 85, who passed away Wednesday morning at St. Elizabeth Youngstown Hospital. Eleanor was born Nov. 3, 1932, in Youngstown, a daughter of the late Raymond and Mary (Klema) Droney. Eleanor worked for Superior Industries and Tippecanoe Country Club. She enjoyed her weekly card club for many years with her good friends. Eleanor loved trips to the casino. She especially loved going up to Tionesta, Pa., where her husband built a hunting camp up in the mountains. Her husband, N. Stan Gross, whom she married March 2, 1954, passed away July 4, 2005. Eleanor leaves her brother, Raymond James (Marilyn) Droney of Youngstown; a sister-in-law, Peggy Droney; a very special aunt, Ann Vargo; a nephew, Raymond Droney; five nieces, Marlo Yuricek, Lori Stickel, Johnna Rae Allen, Dina Jarrett, and Shirley Allen; and many great-nieces and great-nephews. 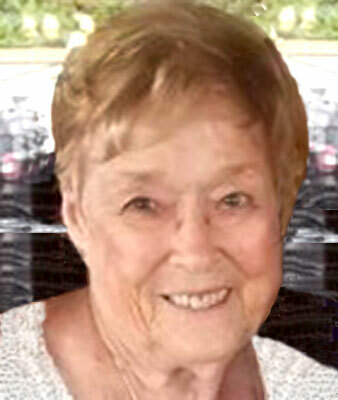 Eleanor was also preceded in death by two brothers, Dennis and Robert; a sister, Gladys Bateman; and a nephew, Bobby Droney Jr.
Family and friends may call Saturday from 9 to 11 a.m. at the funeral home. In lieu of flowers material tributes may take the form of donations to Angels for Animals, 4750 S Range, Canfield, OH 44406.